Recorded by Alain Daniélou for the International Music Council (Unesco) Introduction by Serge Moreux. Ducretet-Thomson 320 C 096-7-8, 1962. 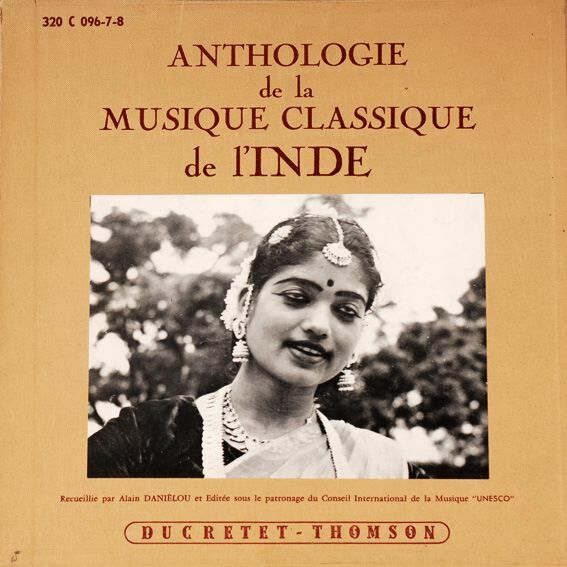 Inde du Sud Les Grands Classiques Pathé-Marconi C 066-14324, 1976, 1985. Vol III : Instrumental and Dance Music from South India G 1510 Editions GREM, Paris. Tribute to Alain Daniélou, New edition as a set of three compact discs by Auvidis/Unesco, 1997. This collection received the “Diapason d’Or” award and, in March 1998, the “Grand Prix du Disque”.